Draft: 2007, Atlanta Braves, 4th rd. Cory Nathanial Gearrin…resides in Nashville, TN, with wife, Maddie… converted from a position player to a pitcher during the summer between his senior year at Rhea County (Evensville, TN) High School and Young Harris Junior College (Young Harris, GA)…Young Harris, which averages fewer than 2,000 undergraduate students, has also produced Major Leaguers Charlie Blackmon and Nick Markakis…Gearrin spent 1 season at Mercer University before being drafted by Atlanta. The Totals - Combined to go 2-1 with 1 save and a 3.77 ERA (24 ER, 57.1 IP) with 53 strikeouts and 21 walks in 62 games with San Francisco, Texas and Oakland...On the Move - Began the season with the Giants…acquired by the Rangers on July 8…joined the Athletics as the result of a 3-player deal on Aug. 31...Giant Report - Made 35 relief appearances with the Giants and was 1-1 with a 4.20 ERA (14 ER, 30.0 IP) with 31 strikeouts and 13 walks…held opponents scoreless in 26 of 35 outings...Texas Two-Step - In 21 games with the Rangers, was 1-0 with a 2.53 ERA (6 ER, 21.1 IP) with 20 strikeouts and 6 walks…earned 7 holds…held opponents to a .176 (13x74) average against and a 0.89 WHIP (6 BB, 13 H, 21.1 IP)...Back to the Bay - With Oakland, allowed 4 earned runs in 6.0 innings (6.00 ERA) across 6 appearances. Was one of the Giants' best relievers, posting a 1.99 ERA (15er, 68.0ip) in 68 games...His 1.99 ERA (15er, 68.0ip) ranked as the seventh-best figure among NL relievers...Registered a career-best 68.0 innings (previous high was 48.1 innings in 2016)...His 68.0 innings pitched were also the most among SF relievers...Allowed 20 of 41 inherited runners to score (48.8%), the fourth-highest figure among MLB pitchers...Finished the season strong, allowing just one run over his last 15 appearances (12.1ip), posting a 0.73 ERA and a .053 (2-for-38) opponents average in that span...Opponents were hitless in their last 23 at-bats against him...Induced opposing hitters to ground into eight double plays in 44 opportunities (18.2%). Finished the season with a 3-2 record and a 4.28 ERA in a career-best 56 games. Held opponents scoreless in 12 of his first 13 outings (3er, 13.0ip). Was one of the Giants best relievers in the first half, posting a 2.16 ERA (8er, 33.1ip) over his first 36 contests. Recorded his first Major League hit in his firstever plate appearance on May 28 at Colorado, hitting a single to right field off RHP Gonzalez Germen in the eighth inning. On Sept. 19 at Arizona he became the third pitcher in MLB history to play the outfield and get a save in the same game. Missed 34 games from July 6-August 17 with a right shoulder strain. Was a Sept. call-up, having his contract purchased from triple-A on Sept. 8...made seven relief outings, posting a 4.91 ERA....Spent the entire season with Triple-A, going 2-2 with a 2.72 ERA (13er, 43.0ip) in 33 relief appearances (46 SO, .230 Avg. Against)....Missed the first month of the season while recovering from Tommy John surgery he had in 2014. Attended Spring Training with the Braves and was likely to earn one of the open roster spots in the bullpen…however, left his last outing with discomfort in his right elbow and it was later revealed that he would need "Tommy John" surgery…missed the entire season. Was released by the Braves November 10, 2014. In his third season with the Major League club, set career highs in appearances (37) and innings pitched (31.0). Earned his first career save on 5/20 vs. MIN by retiring his only batter faced (F7) with two pitches. Appeared on a Major League opening day roster for the first time in his career. Posted a 3.77 ERA (31.0 IP/13 ER) over 37 appearances with the big league club before being optioned to Gwinnett (AAA) on 7/5. Pitched at a 9.90 ERA in 11 appearances, from 5/26-7/3, before his option date. Allowed just two earned runs in his first 26 appearances, pitching to a 0.86 ERA (21.0 IP/2 ER). Through his first 13 games of the season, held opponents scoreless while allowing just seven hits in 12.1 innings pitched. Opponents hit .175 off him in that span. Following his option to Gwinnett (AAA) on 7/5, did not pitch for the for the remainder of the season due to a strained right shoulder. In his sixth professional season, combined to make 61 relief appearances between Gwinnett (2.30 ERA)andAtlanta (1.80 ERA). Suffered his only loss of the season on 9/18 at MIA by allowing a run in the 10th inning. Had his streak of 14 straight scoreless apps (covering 11.1 IP) snapped at MIA on 9/17 in the seventh inning (the streak dated to 7/31). Was recalled 9/4 from Gwinnett for the fourth time and made the postseason roster (did not appear). Named Gwinnett's Most Outstanding Pitcher, becoming first reliever to do so since Stephen Marek and Craig Kimbrel shared the award in 2010. Led Gwinnett with nine saves and ranked third overall in the Braves' organization in saves. Elected to the 2012 Triple-AAll-Star Game (did not appear). Was 3-1 with a 1.25 ERA(6 ER in 43.1 IP) and seven saves in 28 games prior to the break. Posted an 11.1-inning scoreless streak from 5/14-6/2. Did not allow a home run with Gwinnett, his second straight year without allowing a Triple-A home run. Opened the 2011 campaign with Triple-A Gwinnett where he went 1-1 with a 2.61 (3 ER/10.1 IP) in sixappearances out of the bullpen prior to his first call-up to the Majors...Appeared on Atlanta's ML roster on three separate occasions with each transaction taking place with GWI: recalled 4/22, optioned 5/18; recalled 5/29, optioned 6/11; recalled 7/2, optioned 7/22...Made his Major League debut on 4/25 at SD. Tossed 2.0 perfect innings and struck out two of his sixbatters faced...Ranked third among Braves minor league relievers in ERA (1.80)...Recorded four consecutive saves for GWI, 8/9-17 (6.0 IP, 4 H, 1 R, 1 ER, 2 BB, 9 K)...Strung together 13 consecutive outings without allowing an ER, 6/24-8/11 (17.2 IP, 15 H, 1 R, 6 BB, 21 K)...In nine appearances out of the bullpen between his second and third appearance on the ML roster (6/11-7/2) went 2-0 with a 1.50 ERA (2 ER/12.0 IP) for GWI...Came on in 7/19's fifth inning at COL and inherited two runners with two outs. Struck out Carlos Gonzalezto get out of the jam, but then allowed two earned runs on four hits in the sixth inning...Entered a 4-1 game (Braves trailing) in the seventh inning in relief of Derek Lowe and gave up a career-highsix runs (all earned) on a career-high (matched) four hits in just 0.1 IP on 7/10 at PHI...Suffered his first blown save on 5/1 vs. STL as he allowed one run over 1.0 inning of work. Spent his first season season with Gwinnett (AAA), amassing a 3-5 record with a 3.36 ERA in a careerhigh80.1 innings. Also set career highs in stikeouts (66) and appearances (52)...Led the G-Braves staff and was second among Braves minor leaguers with his 52 appearances. His 3.36ERA ranked seventh among the organization's relief pitchers...From 4/12-5/2 tossed 10.1 consecutive scoreless innings...His first win came 7/1 at Scranton/Wilkes-Barre...Tossed a season-high 3.1 scoreless innings 9/1 at Norfolk...Appeared in 10 games (1-0, 3.93) for the Phoenix Desert Dogs of the Arizona Fall League. Earned Myrtle Beach MVP honors after leading the club with 17 saves and ranking second amongqualifying relievers with a 1.84 ERA...Pitched in 47 games between High-A Myrtle Beach and Double-AMississippi (1-4-19, 2.30 ERA)...Finished in the top 10 in several categories among Braves minor league pitchers,including saves (2nd), relievers ERA (3rd), games (T5th) and opponents' batting average (7th, .205)...Wasa perfect 6-for-6 in save opportunities while pitching at a 0.82 ERA in nine April contests to earn organizationalPitcher of the Month honors...Also earned Pitcher of the Month honors in August (0-1-6, 2.61 ERA, 10appearances). In 36 combined appearances between Myrtle Beach (A) and Rome (A), went 6-3-1 with a 4.11ERA...Earned first career save 6/27 at SAV (1.0 IP, 2 K). Suffered the loss in his professional debut on 6/27 with Danville (R) as he failed to record an out (3R, 2 H)...Following first outing, settled in nicely and pitched at a 3.73 ERA rest of the way (17 games)...Earnedfirst career win on 8/17 (4.2 IP, 3 H, 2 BB, 4 K). 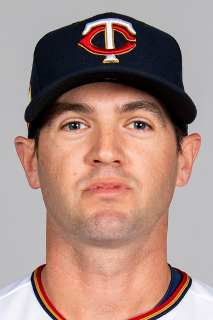 January 10, 2019 Seattle Mariners signed free agent RHP Cory Gearrin. November 30, 2018 RHP Cory Gearrin elected free agency. September 1, 2018 Oakland Athletics activated RHP Cory Gearrin. August 31, 2018 Texas Rangers traded RHP Cory Gearrin to Oakland Athletics for RHP Abdiel Mendoza and RHP Teodoro Ortega. July 9, 2018 Texas Rangers activated RHP Cory Gearrin. July 8, 2018 San Francisco Giants traded CF Austin Jackson, RHP Cory Gearrin and RHP Jason Bahr to Texas Rangers for Player To Be Named Later. October 12, 2016 San Francisco Giants activated RHP Cory Gearrin. October 5, 2016 San Francisco Giants reassigned RHP Cory Gearrin to the minor leagues. August 18, 2016 San Francisco Giants activated RHP Cory Gearrin from the 15-day disabled list. July 29, 2016 San Francisco Giants sent RHP Cory Gearrin on a rehab assignment to Sacramento River Cats. July 6, 2016 San Francisco Giants placed RHP Cory Gearrin on the 15-day disabled list. Right shoulder strain. September 8, 2015 San Francisco Giants selected the contract of RHP Cory Gearrin from Sacramento River Cats. August 1, 2015 Sacramento River Cats activated RHP Cory Gearrin from the 7-day disabled list. July 24, 2015 Sacramento River Cats placed RHP Cory Gearrin on the 7-day disabled list retroactive to July 22, 2015. May 6, 2015 RHP Cory Gearrin assigned to Sacramento River Cats. December 7, 2014 RHP Cory Gearrin assigned to Sacramento River Cats. November 24, 2014 San Francisco Giants signed free agent RHP Cory Gearrin to a minor league contract and invited him to spring training. October 31, 2014 Atlanta Braves activated RHP Cory Gearrin from the 60-day disabled list. October 12, 2013 Atlanta Braves activated RHP Cory Gearrin. September 23, 2013 Gwinnett Braves activated RHP Cory Gearrin from the 7-day disabled list. August 10, 2013 Gwinnett Braves placed RHP Cory Gearrin on the 7-day disabled list. Right shoulder tendinitis. July 5, 2013 Atlanta Braves optioned RHP Cory Gearrin to Gwinnett Braves. September 4, 2012 Atlanta Braves recalled Cory Gearrin from Gwinnett Braves. August 17, 2012 Atlanta Braves optioned Cory Gearrin to Gwinnett Braves. July 31, 2012 Atlanta Braves recalled Cory Gearrin from Gwinnett Braves. July 31, 2012 Cory Gearrin roster status changed by Atlanta Braves. July 19, 2012 Cory Gearrin roster status changed by Gwinnett Braves. July 12, 2012 Gwinnett Braves placed RHP Cory Gearrin on the 7-day disabled list. June 13, 2012 Atlanta Braves optioned RHP Cory Gearrin to Gwinnett Braves. June 11, 2012 Atlanta Braves recalled Cory Gearrin from Gwinnett Braves. April 29, 2012 Atlanta Braves optioned Cory Gearrin to Gwinnett Braves. April 24, 2012 Atlanta Braves recalled Cory Gearrin from Gwinnett Braves. April 2, 2012 Atlanta Braves optioned Cory Gearrin to Gwinnett Braves. October 1, 2011 Cory Gearrin roster status changed by Atlanta Braves. July 22, 2011 Atlanta Braves optioned RHP Cory Gearrin to Gwinnett Braves. July 2, 2011 Atlanta Braves recalled Cory Gearrin from Gwinnett Braves. June 11, 2011 Atlanta Braves optioned Cory Gearrin to Gwinnett Braves. May 29, 2011 Atlanta Braves recalled Cory Gearrin from Gwinnett Braves. May 18, 2011 Atlanta Braves optioned Cory Gearrin to Gwinnett Braves. April 22, 2011 Atlanta Braves recalled Cory Gearrin from Gwinnett Braves. March 17, 2011 Atlanta Braves optioned Cory Gearrin to Gwinnett Braves. November 19, 2010 Atlanta Braves selected the contract of Cory Gearrin from Gwinnett Braves. October 8, 2010 RHP Cory Gearrin assigned to Phoenix Desert Dogs. April 3, 2010 Cory Gearrin assigned to Gwinnett Braves from Mississippi Braves. March 7, 2010 RHP Cory Gearrin assigned to Atlanta Braves. September 3, 2009 Cory Gearrin assigned to Mississippi Braves from Myrtle Beach Pelicans. July 21, 2009 Cory Gearrin assigned to Myrtle Beach Pelicans from Mississippi Braves. May 28, 2009 Cory Gearrin assigned to Mississippi Braves from Myrtle Beach Pelicans. May 17, 2009 Cory Gearrin assigned to Myrtle Beach Pelicans from Danville Braves. May 2, 2009 Cory Gearrin assigned to Danville Braves from Myrtle Beach Pelicans.